Senior Lecturer in Education, Dr Linda Morrice, has been investigating the importance of providing resettled refugees* in the UK the opportunity to learn English. English language learning for resettled refugees is currently delivered through English for Speakers of Other Language (ESOL) programmes. To date ESOL policy and provision has been focused on employability. 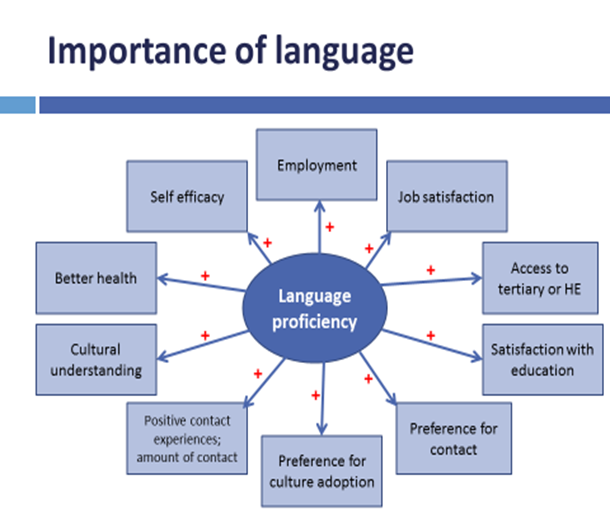 However, there are many other benefits associated with the provision of English-language learning opportunities. 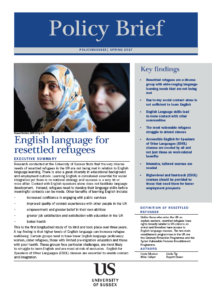 In this new Policy Brief, Linda shows that access to English language courses can help resettled refugees integrate with the settled population. It can also increase resettled refugee’s confidence when they engage with public services, improve the quality of contact experiences with other people, be empowering, lead to greater satisfaction in work or education and improve health and wellbeing. Despite this there is currently no national ESOL strategy, and this has led to shortcomings in both the quality of provision and understanding the scale of need. Resettled refugees are a diverse group with wide-ranging language-learning needs that are not currently being met. High-level and fast-track (ESOL) courses should be provided to those that need them for faster employment prospects. In terms of policy recommendations, and to improve the availability, provision and take up of English language courses, Linda suggests that there needs to be a national and local ESOL strategy and this needs to recognise that resettled refugees have diverse needs. To address this the UK government and local authorities should consider providing higher level ESOL courses, and at variable intensities, depending on need. There also needs to be extra support for home carers – most likely women – who are more vulnerable to being isolated; as well as progression pathways, informal learning opportunities and additional support for those with no formal education. Finally there should be ESOL provision for everybody – English language should be recognised as a life skill and be freely available to all. Linda’s research is part of a three year investigation into gaps in ESOL provision and barriers to English language learning for resettled refugees. Funded by the UK Research Council, it is the first longitudinal study of its kind, and the only large-scale investigation of resettlement outcomes in the UK. For more information see ESRC Refugee resettlement grant, and this Guardian article which cites the University of Sussex research on refugees and language barriers. *Resettled refugees are those who arrive in the UK via the Gateway Protection Programme of the Syrian Vulnerable Person Resettlement Scheme. Research was funded by the Economic and Social Research Council (ES/K006304/1), and conducted by Professor Rupert Brown, Professor Mike Collyer, Dr Linda Morrice, Dr Tip Brown.